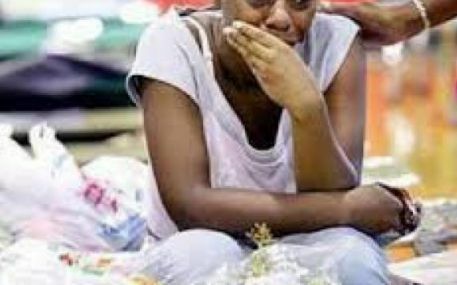 A Teenage housemaid dislodged a barren woman after she was impregnated by the woman’s husband simply known as Emmanuel, as she insisted she will not share or live with Emmanuel’s wife, who was her madam, under the same roof. The incident happened at Egbeda area of Lagos where Emmanuel resided with his wife and they had not been able to bear a child after years of marriage. The maid reportedly insisted that the embattled woman should look for another husband elsewhere since she was unable to bear a child for Emmanuel before she got pregnant for him. This had caused serious problem between Emmanuel and the wife to the extent the case was reported to the police at Area M Command, Idimu, Lagos. Thus, Emmanuel was arrested and charged before a Lagos Magistrates court for r*pe, impregnating an underaged girl. Police sources explained that the girl was below 18 years before Emmanuel impregnated her. According to PM Express, the girl was brought from the eastern part of the country by Emmanuel’s neighbour who was a single mother. Emmanuel had sought for medical and spiritual solutions for his wife to get pregnant to no avail. He was said to be secretly sleeping with the house maid until she became pregnant. Emmanuel was charged before Ogba Magistrates court for the alleged offence. He pleaded not guilty. The presiding Magistrate granted him bail in the sum of N250,000 with two sureties in like sum.